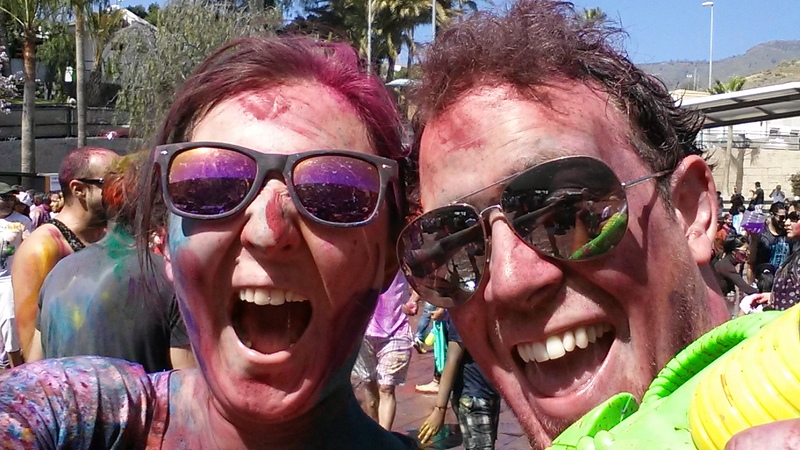 Holi is often called the Festival of Colour or the Festival of Love names that are clearly justified when you arrive at it. It’s a traditional Hindi festival to celebrate the transition from winter to spring when the coming sun is celebrated, friendships solidified and feuds are cleansed with Gulal and water. It also serves to highlight the mundane inebriating absurdity of my birth-land’s St. Paddy’s global export. It seems to lack the uninhibited freedom and joy that can be achieved with Holi. 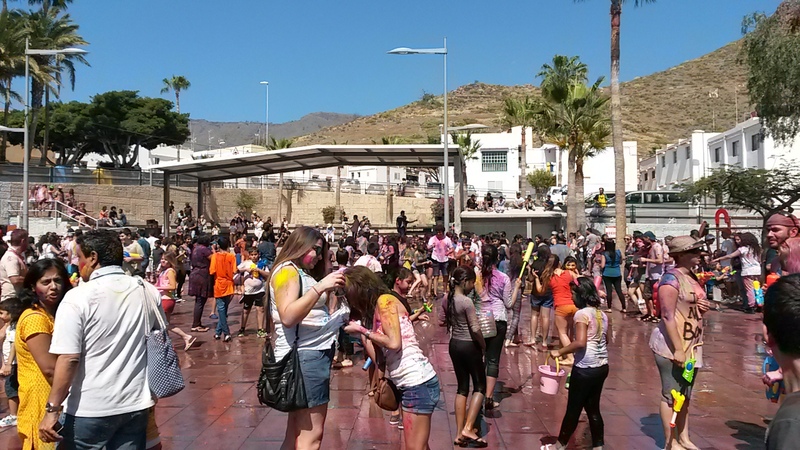 It was an event that had its roots deeply set in the Indian community in Tenerife; however, also became a multi-cultural mash of colour and chaos. 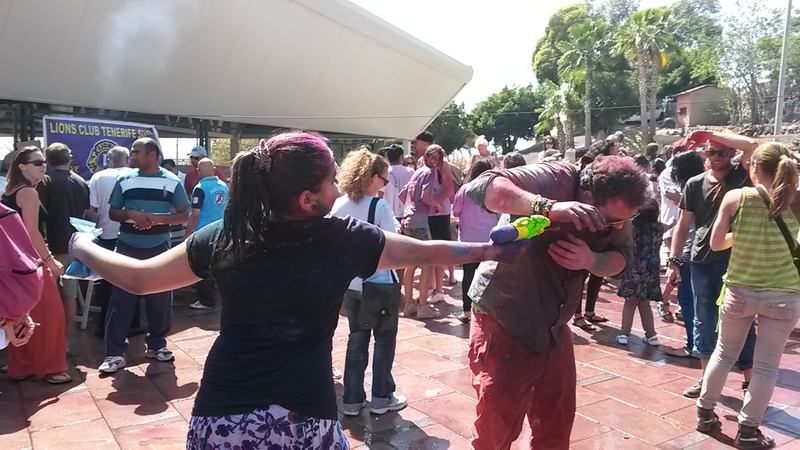 A number of the children from the school where I teach attended the festival and relished the opportunity to destroy their teacher with water guns and paint – naturally. I was able to fully experience the childish enjoyment of the festivities. I was quickly brought back to the wonder of a childhood water-fight but with the added fun of powdered colours. 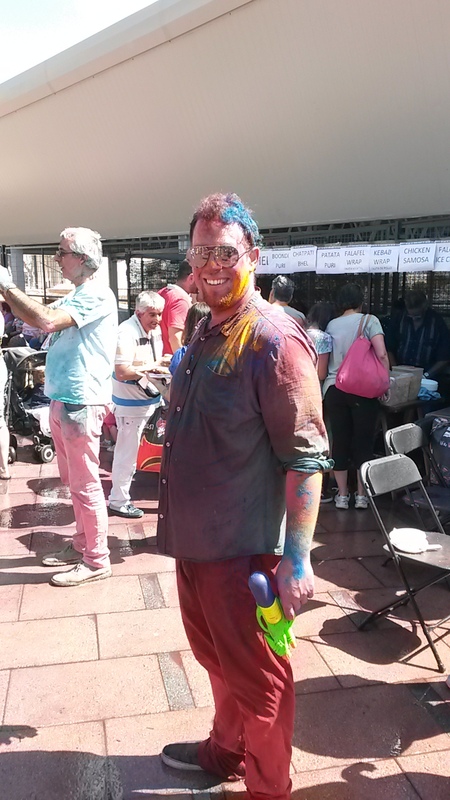 However there were also the almost spiritual moments of elderly Indian men rubbing some paint on my cheeks and saying ‘Happy Holi’ as they minced through the crowd spreading this rainbow of love. They encapsulated the essence of the festival and revealed that the history of it had not been muddled in its exported & modernised form hundreds of years and miles from it birthplace. It was a festival of beauty, colour, childish anarchy and inhibition. 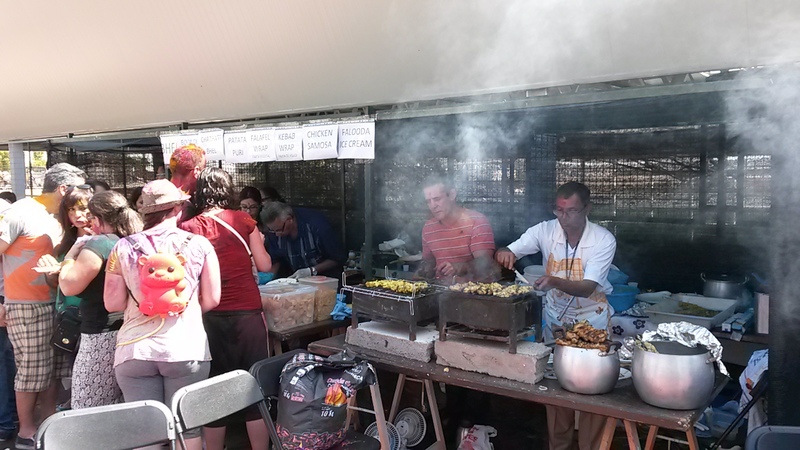 Is there anything more that I could ask from a festival?